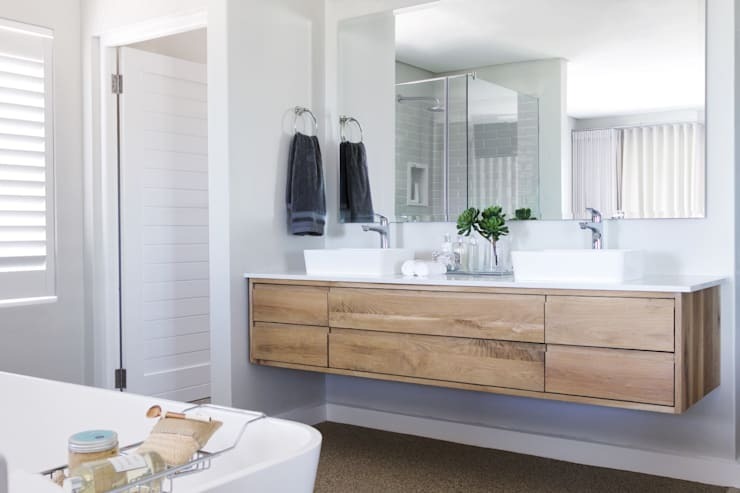 When it comes to bathroom makeovers, the bathroom cabinet is widely considered to pack the biggest style punch (as any seasoned bathroom designer will tell you). After all, a bathroom cabinet is one of the first things you see upon entering a bathroom, plus let’s not forget how often you’ll be using it in terms of storing soaps and shampoos, balancing decorative elements, etc. But how do you choose the right bathroom cabinet from those never-ending options out there? Beautiful design aside, those bathroom cabinets will also have to be practical – either for storage or to house plumbing / utility features (or both). Therefore, decide first what you want out of your bathroom cabinets before choosing what they should look like. 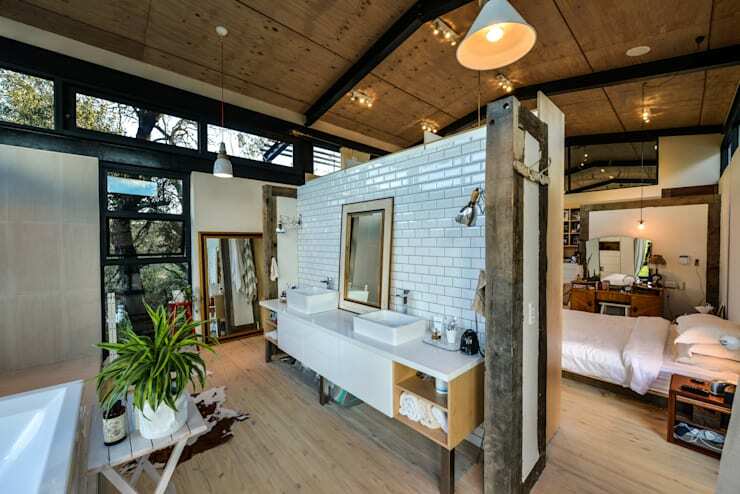 Then, start browsing homify’s range of bathrooms to get inspired. 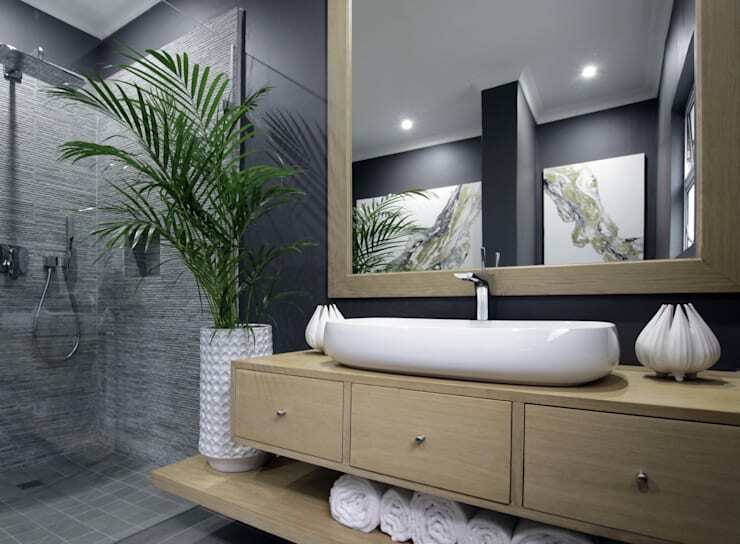 Look at Pinterest to see what’s trendy in terms of bathroom designs. Scope out interior design magazines, visit a designer showroom, etc. 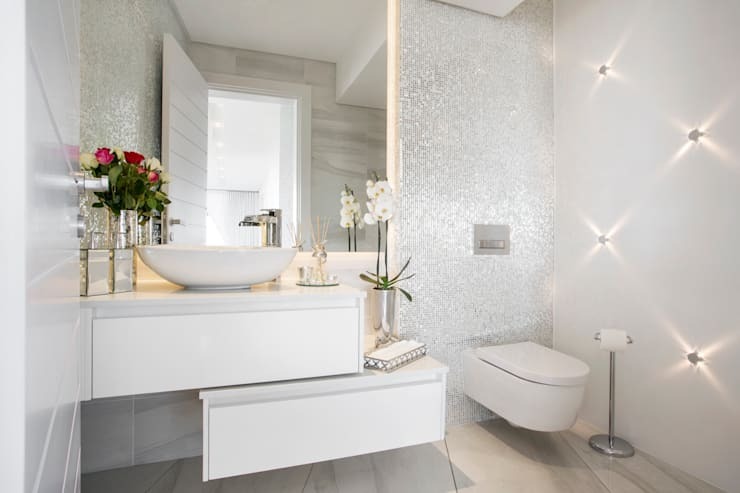 Because it’s more complicated designing a bathroom than a kitchen (due to working with a smaller space, plus the fact that almost everything in there has either water, electrical and/or drainage issues), it’s best you hire a professional interior designer and/or bathroom specialist to assist with your bathroom’s new look. Before you start shopping, set a cost limit. This will help narrow down your options and steer you in a direction of bathroom cabinets well suited for your space. To narrow your field even further, measure your entire bathroom (floor, wall height and -width, door- and window openings, existing fixtures, etc.) to see what can fit. Then create a layout plan. Keep in mind that the average bathroom cabinet averages from 45.72 cm to 121.92 cm wide. That means you’ll require ample wall space for its width and height, not to mention added legroom for those cabinet doors to swing open comfortably. •	Sketch your bathroom measurements on some graph paper. •	Mark the doors, windows and bathroom fixtures on your sketch. •	Make to-scale templates for different bathroom cabinet sizes. Then arrange these templates on the sketch until you know which cabinet size(s) will fit comfortably in your bathroom’s size and layout. •	Closed cabinets are floor-to-ceiling units with doors, appearing as built-in pieces. They may be used as linen closets or to hide washer/dryer units. •	Base cabinets are free-standing pieces that are placed on the floor. Available in a huge variety of shapes and sizes, these can be placed almost anywhere in a bathroom. •	Wall cabinets are mounted to the wall, usually over a bathroom fixture (like a medicine cabinet that’s placed above the sink area). homify hint: Keep installation in mind. While base cabinets can be set anywhere on the floor, closet- and wall cabinets will require some labour and expertise for proper (and safe) installation. Probably the most fun part about choosing a bathroom cabinet is browsing through the various styles! 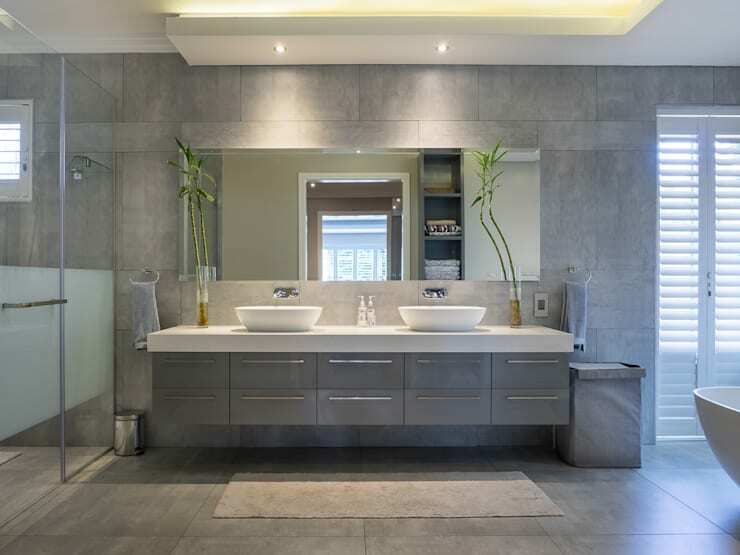 Remember that your choice needs to fit into your bathroom’s design; thus, go with cabinetry that complements your bathroom’s existing furnishings and architecture. Doors. Will open-shelved cabinets (with no doors) look better, or would you rather opt for decorative glass or solid doors? Material. Wood, plastic, wicker, glass, bamboo, laminate… which material would best complement the style (modern, rustic, Scandinavian… ) of your bathroom? Accessories. Detail such as drawer pulls, cabinet tops and door handles all add to the final design. However, never let the look of your bathroom cabinets distract from its main goal: storage. Fortunately, today’s cabinet designers keep practicality in mind, churning out models with splendid amenities like built-in drawer dividers, appliance cubbies (to hide away everyday items like hair dryers, for instance), linen towers, etc. 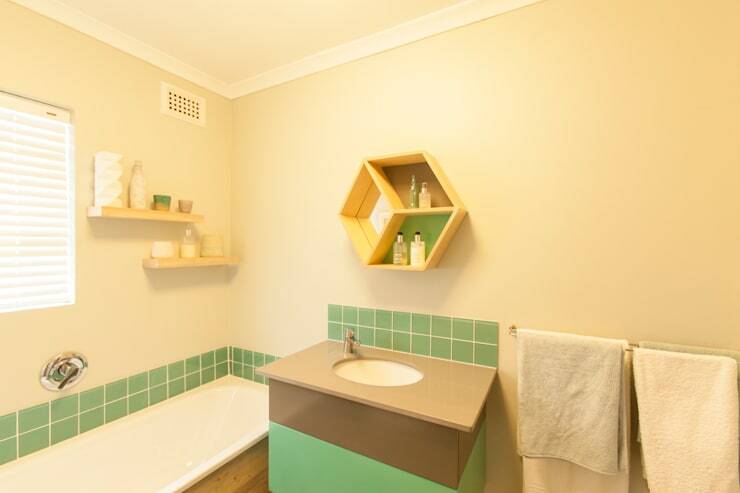 Don’t underestimate the importance of your bathroom cabinets’ colour. The general rule of thumb is that lighter-coloured designs reflect the light and help to make a space look bigger and more airy. On the other hand, darker-tinted cabinets will absorb the light and create a smaller-looking space (ideal for bathrooms that are too big in appearance). Speaking of bigger bathrooms, don’t be afraid to experiment with contrasting colours. A cabinet colour which differs from the wall’s hue, for instance, will break up the expansive space. But if you want your smaller bathroom to appear bigger, stick with colours in the same family (light browns, beiges, etc.) to help unify the look of the room. •	Smooth texture is still texture. Play around with texture in your bathroom by contrasting a smooth cabinet with décor that add texture. •	Texture and patterns are ideal for creating character. Keep this in mind when choosing textiles with pretty motifs. •	Remember that the more texture you add to the room, the less visual space you will have. 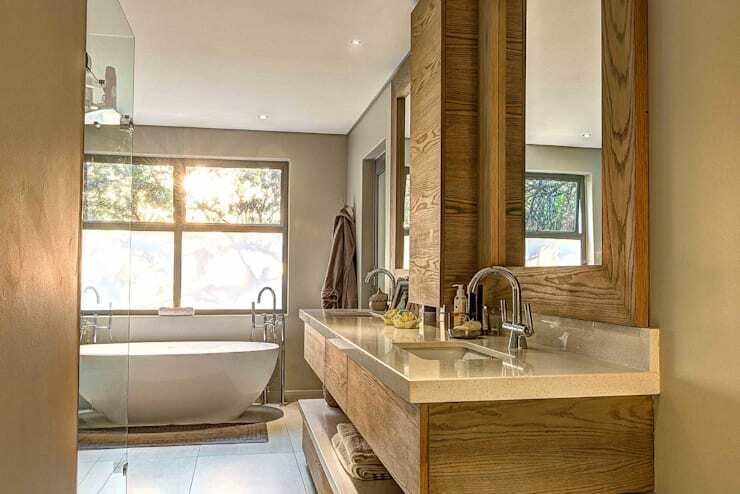 More texture makes a room look busier and smaller; thus, be careful when choosing bathroom cabinets made from grained oak, for instance. In the end, have fun! Choosing bathroom cabinets does not have to be the most difficult job in the world and can even be an entertaining little project that adds to your bathroom’s new look. A word to the wise: These design mistakes make your bathroom look tacky. Which bathroom cabinets (style, colour, texture, material) would you choose for your dream bathroom?